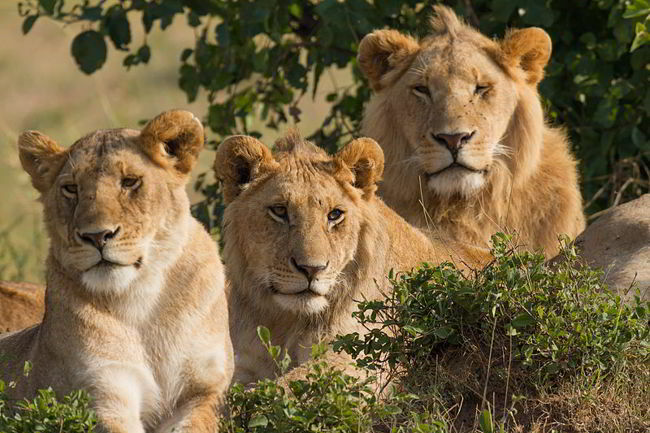 In Africa, three lions rescued a 12-year-old girl from kidnappers and guarded her for half a day. How would you feel to hear the story of a girl, who is actually rescued by the kings of jungle? Surprised? Shocked? Scared? Gone are the days when animals were said to be scary and dangerous; now, some of the humans are far scarier and far more dangerous than the wildest animals in the forest. According to the Ethiopian police, a pride of lions has helped and protected a rural girl from the gang, which kidnapped her. This happened in the rural south-west Ethiopia and the story has now spread like fire in the forest. The entire world is cherishing the spirit of the wild animals that stood and supported this girl, who could have been raped, murdered or both. When this 12 year old little girl was on her way home, four men snatched and kidnapped her. She was returning home from school and was just about to reach her destination, when this happened. Even though the parents had given up on their hopes to get the girl back, a week later, three lions encountered the men and chased them off. When she feared their presence, they comforted and protected her, without harming her even a bit. When the police reached the place searching for her, they were surprised to see the three lions protecting her like a Princess. They silently departed when the police reached the girl. Even though the cops were scared to see the wild animals, they realized that they meant no harm. The police could not identify the gender of the lions, but the way they stood near the girl showed their motherly love and affection towards her. All the four kidnappers were caught by the police. This is truly some sort of a miracle!